This post is sponsored by Book Of The Month. However as always, opinions are my own. Something you may not know about me is that I love reading books. Yes, I'm one of those people that are anti-ebooks and anti-audio books. When I travel, I always bring a book with me. That's probably when I get most of my reading done! Is that just me?! 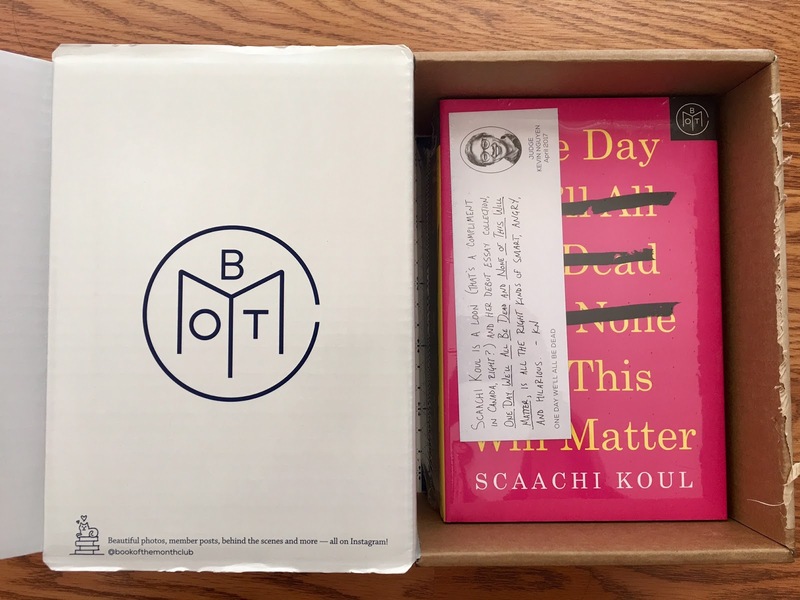 I'm beyond excited to be partnering with Book Of The Month, a monthly subscription box that sends you new books! On the 1st of each month, Book Of The Month announces 5 selections. Read the description of the books and pick your favorite! Get your book and start reading, woohoo! Need to gush over the amazing read? Head on over to the website and click on "Discussions" to chat with fellow book-lovers! It pushes you to experiment with different genres. You have the freedom to pick a book instead of getting a surprise selection. You can skip a month for whatever reason, absolutely no pressure! You join a huge community of bookworms, who doesn't want that? Sounds awesome, right? I've been loving the service the past 2 months and hope to continue it. 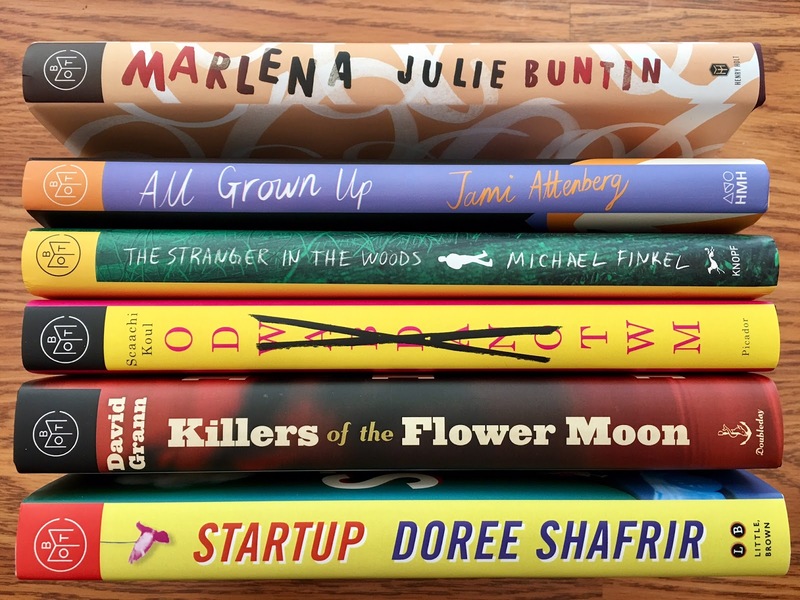 My favorite from March was All Grown Up by Jami Attenburg and can't wait for my April books! 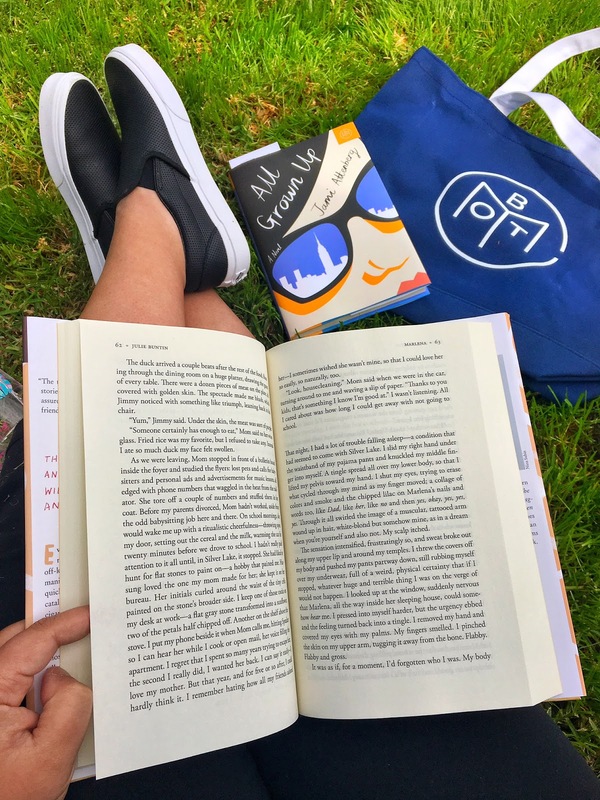 If "read more" was a part of your New Year's Resolution, if you want to get back into reading, if you want to continue reading - you get the gist - sign up with BOTM and read with me! Are you a big reader? What genre do you tend to read? If you have ANY book recommendations, leave me a comment below! This post may include affiliate links. This means that if you sign up with Book of the Month, I will receive a small commission. I truly appreciate your support for Life in Wanderlust! I mostly read non-fiction these days because I just don't know what else to read! 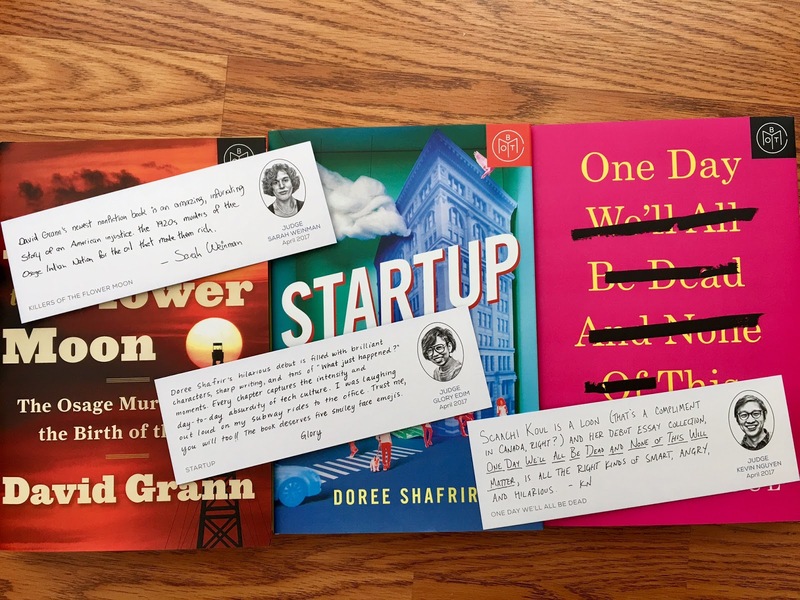 These seems like such a great way to find new books.